Daniel McStay will make his AFL debut against North Melbourne on Saturday night. The Brisbane Lions will unveil their eighth debutant on Saturday night when they take on North Melbourne at the Gabba. 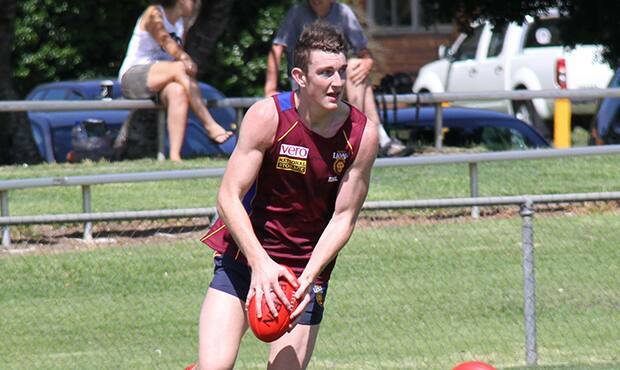 Daniel McStay (Pick No.25 at the 2013 NAB AFL Draft) has been named to play his first senior AFL match under lights at the Gabba this weekend. McStay, predominantly a left-foot defender as a junior, was drafted by the Club from the Eastern Ranges in the TAC Cup U18 competition. After a consistent season down back in the Lions NEAFL side, McStay will get his chance to pull on the Lions guernsey for a senior AFL match. Also returning to the Lions’ line up is youngster James Aish, Ryan Lester and veteran, Ash McGrath. McGrath returns to the senior side for the first time in 2014 after a recurring calf injury kept him sidelined for the entire season to date. With two NEAFL games under his belt, McGrath is a welcomed inclusion to a young Lions outfit, who will again be without Jonathan Brown, after he announced his retirement from the game earlier this week. Brisbane Lions Members and supporters will get a chance to officially farewell Brown at half time of this Saturday night’s match at the Gabba. Fans are encouraged to turn out and show their appreciation for one of the Club’s all-time greatest players. The Lions will be without Darcy Gardiner (rested) and Zac O’Brien, Nicholas Robertson and Tom Cutler who have all been omitted. The Lions take on North Melbourne at the Gabba, Saturday night at 7.40pm.